Alan Wang Realty Group Real Estate Blogger: Alan Wang Realty Wins Top Honors at Keller Williams! 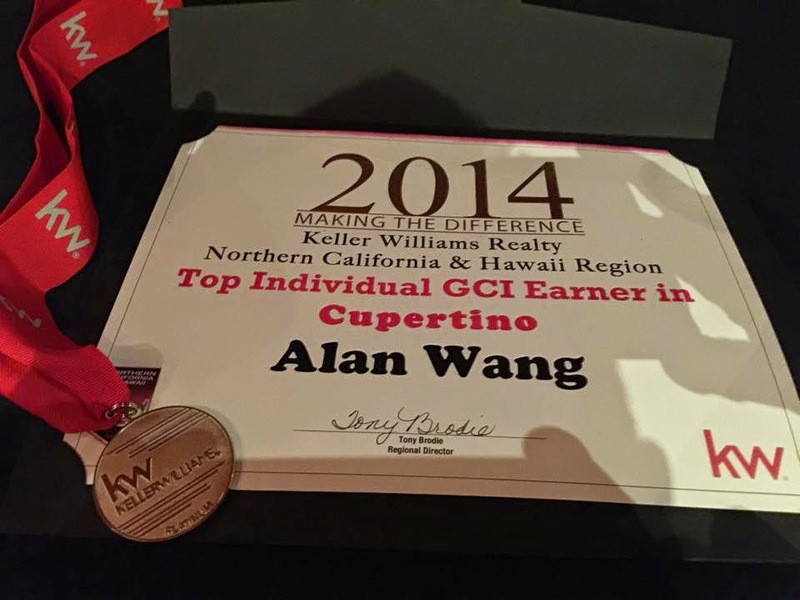 Alan Wang Realty Wins Top Honors at Keller Williams! Never would I have imagined that helping people with their real estate needs would have helped me earn this top award at Keller Williams landing in the top 1% of Realtors in Northern California and Hawaii. I remained humbled and thank each and everyone of you for your referrals and trust over the years. Could not have done it without you!